One of the most important yet overlooked aspects of drop shipping is developing a process for downloading and maintaining the product images from the supplier. There are countless ways to go about this process. This tutorial is focused on providing a simplified image download process for business owners and product managers. Note: If you are comfortable with programming or system administration you may want to explore more advanced solutions such as wget. A copy of your latest feed. 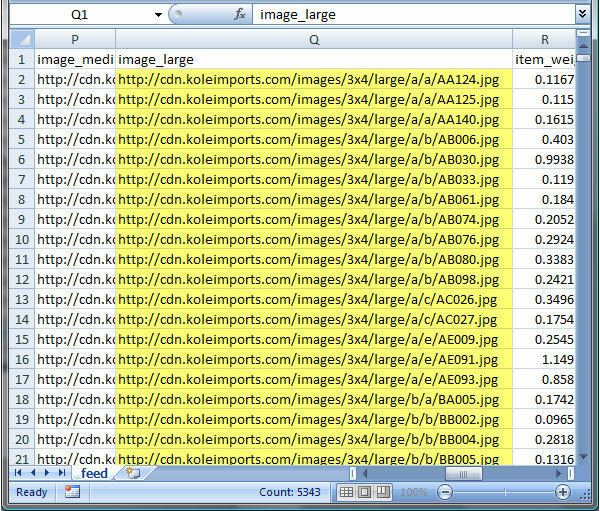 In addition, you (the user) bear the responsibility for maintaining a list of which images you have already downloaded. Below is a checklist of requirements to follow before continuing this tutorial. 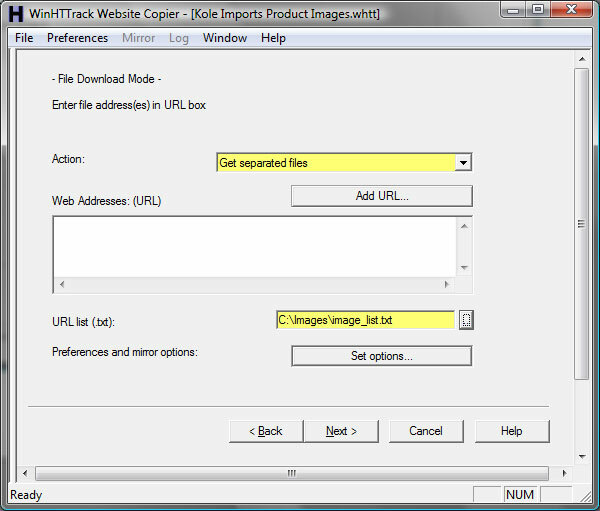 Make sure HTTrack Website Copier has been downloaded and installed on your computer. Download the latest copy of your feed in the CSV format. 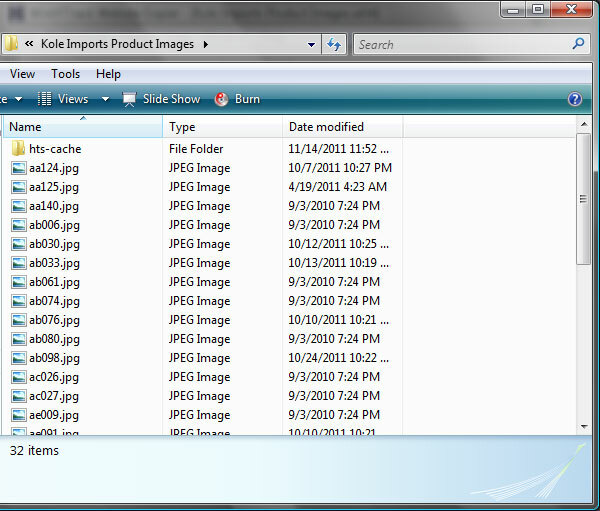 Create a new directory your computer to hold the project information and product images. For this tutorial, we created the directory C:\Images , but the name or location doesn't matter. Download a copy of your feed and locate the column of images you want to download. We recommend you select the large images from the product feed. Once you have located the correct column, copy the entire column in a new text file. This should create a list that looks similar to the one below. Save that file to the directory you created for the project. Open up HTTrack Website Copier. You will be presented with the screen below. Click the next button. Choose a name for your project and select the directory that you created in the beginning of this tutorial. 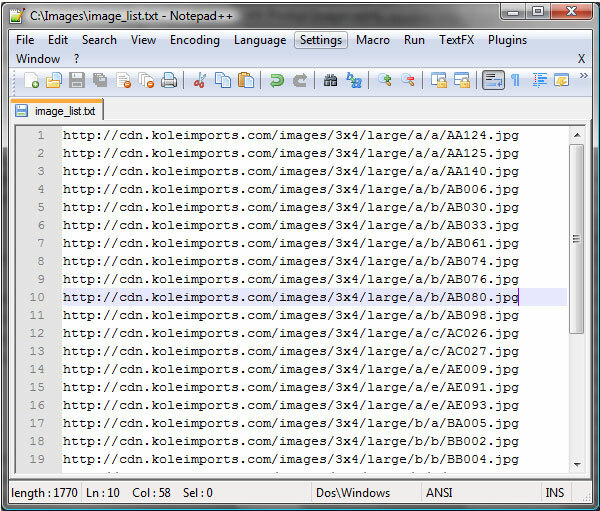 This directory will hold all of the downloaded images in addition to associated project files. Click next when finished. Select the "Get separated files" action from the drop down box and choose the list of image URL's you created in step 2 of this tutorial. Click next when finished. 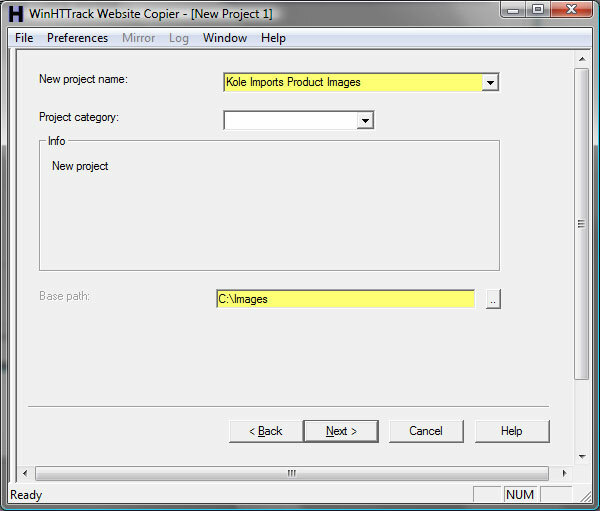 The next screen in HTTrack Website Copier will give you the option of saving the project or starting the download. Since this is a tutorial on how to download the product images click the next button and your download will start. Important Note: The download can take a very long time (up to 12+ hours in some cases) depending on your internet connection. To avoid extra charges from your ISP, we recommend you check with your ISP for bandwidth caps before starting this download. The next screen will show you the progress of your download. If you are downloading all of the product images at once this could take a long time. It's best if you let it run overnight to avoid any disruptions in your download. Once the download is finished, the screen will verify the download and will let you know of any errors. 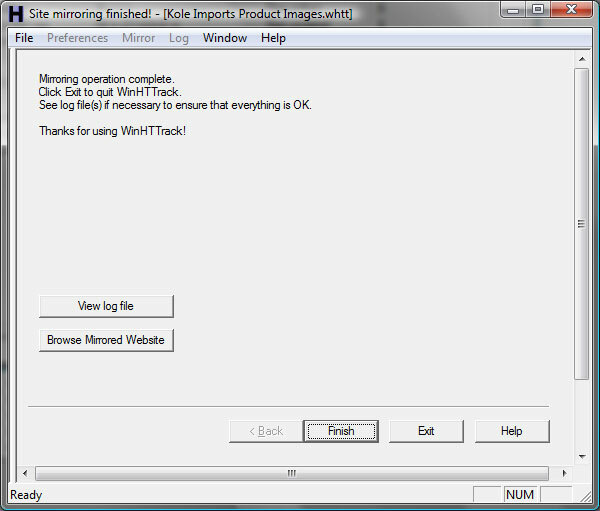 From here you can click finish and the program will close. Browse the directory you created in the beginning of this tutorial. Depending on what you named your project, you will find a directory that contains all of the downloaded images as seen below. Now that you have all of the product images you may want to do some processing or send them up to your website via FTP or some other transport mechanism.